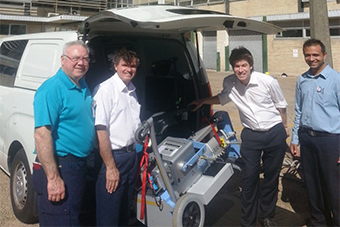 The Northern Beaches mobile X-Ray can now see more of your RACF patients in a day! The mobile X-Ray received a grant from Sydney North Health Network for a new digital piece of equipment, which enables them to increase the number of RACF residents benefiting in a day. GPs can access the radiology images through the radiology provider PRP. Please contact them if you do not already have this access. Referral forms for the mobile X-Ray can be accessed here. Please contact either the After Hours team for more information or the Northern Beaches Mobile X-Ray Department via phone (02 9998 0268).